German and English belong to the same language families, this means they descend from a common language. Not to mention the many words both languages borrowed from Latin. Therefore is normal they have many words that are similar in spelling and in meaning (real friends). Unfortunately, there are also a bunch of words that despite being spelled or pronounced similarly have a completely different meaning. Those words are known as false friends. For example, in German, the word fast means almost, in English the word fast means quick. 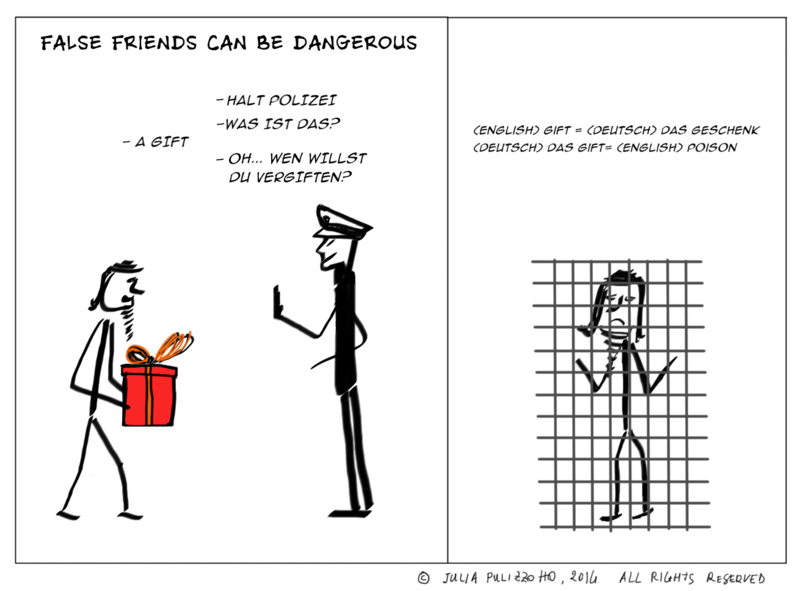 False friend can be very dangerous as much as human false friends, as you can see in the example in the strip below. In this post, we focus only on false friends, but there are also many real friends, as mentioned. Those words are really really helpful for those learning German. If you think there is anything missing in my list of German-English false friends, leave me a message using the form at the bottom of the page. To know more about my German lessons click on the link. I am graduated in linguistic from the LMU University of Munich. I have taught German and Italian in language schools in Munich before launching my own business. 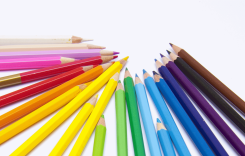 Special German courses for children. 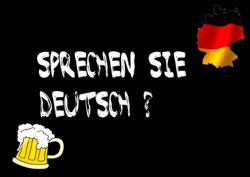 To learn German with fun!